LONDON - DFS has been sold to private equity firm Advent International for a reported £500m, as part of plans to expand the UK's biggest sofa retailer. Lord Kirkham, the founder of the retailer over 40 years ago, will now step down as executive chairman. Kirkham will be succeeded by former Alliance Boots chief executive and Advent partner Richard Baker. Kirkham floated the business in 1993 before taking it private again in 2004 for £507 million. DFS has 74 stores and more than 2,600 staff and Advent now plans to expand the business through new stores and online and brand development. Advent already has existing retail investments which include Poundland and Fat Face in the UK. In 2009 DFS was the 7th biggest UK spender in Marketing's Top 100 advertisers, based on Nielsen data. The retailer spent £93.8m during the year, an increase of 13.2%. 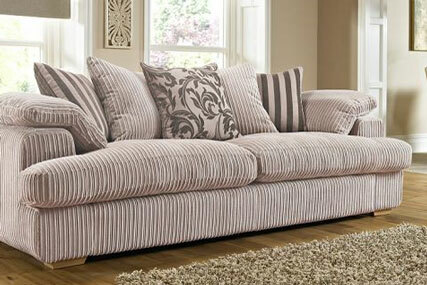 The only retailers which rank higher than DFS are Tesco and Asda, which spent £104.5m and £98.6m, respectively. For the year to 1 August 2009, DFS's holding company, Full Circle Future, witnessed turnover declining from £594.9m to £577.8m. It did however benefit from the demise of rivals Land of Leather and The Pier.